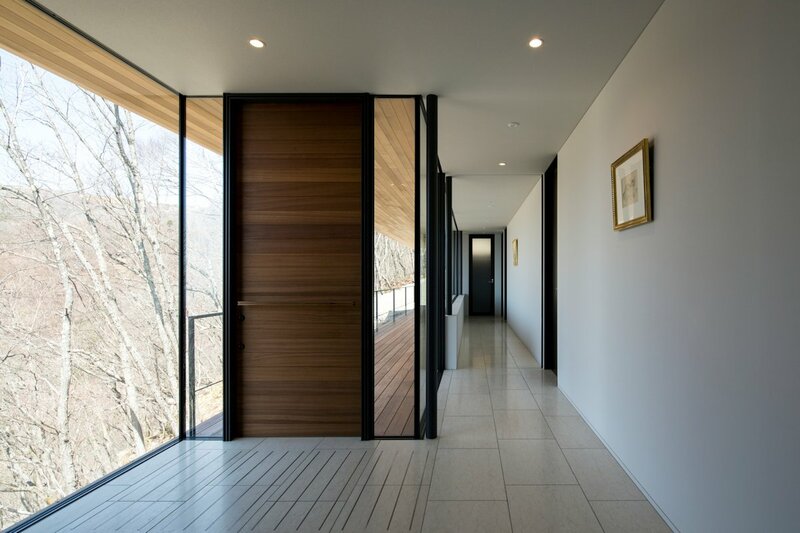 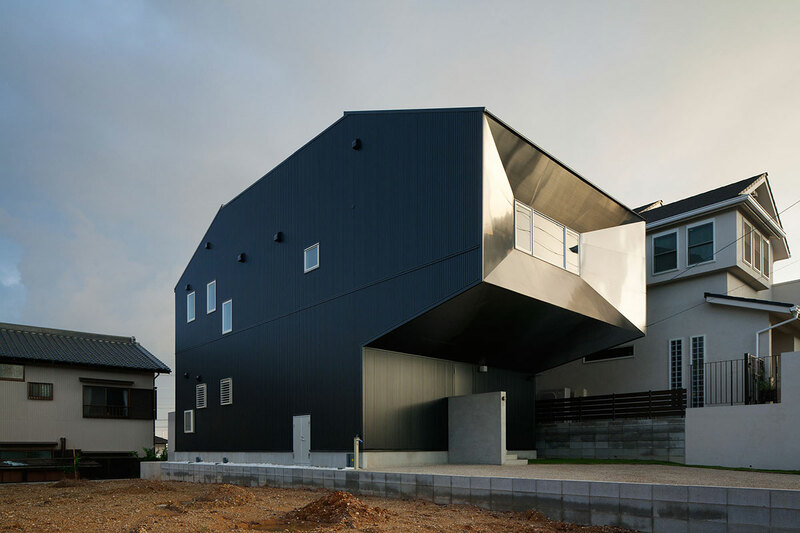 The House in Yatsugatake was completed in 2011 by the Tokyo based firm Kidosaki Architects Studio. 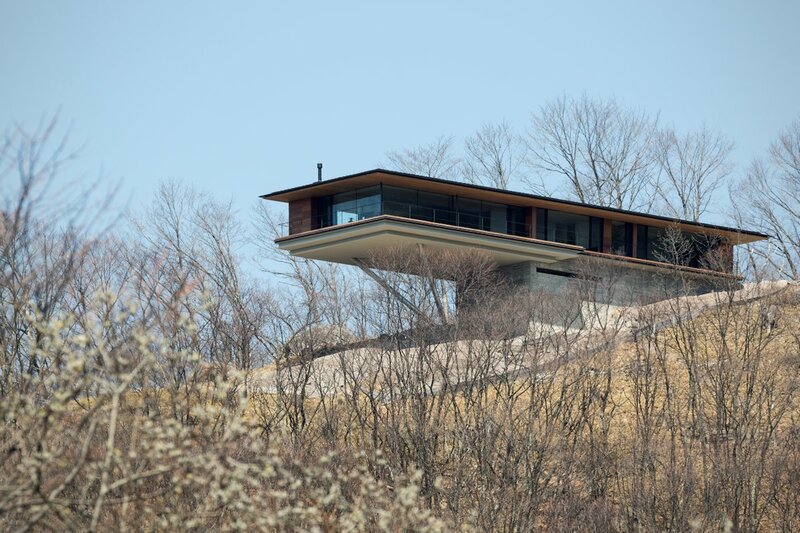 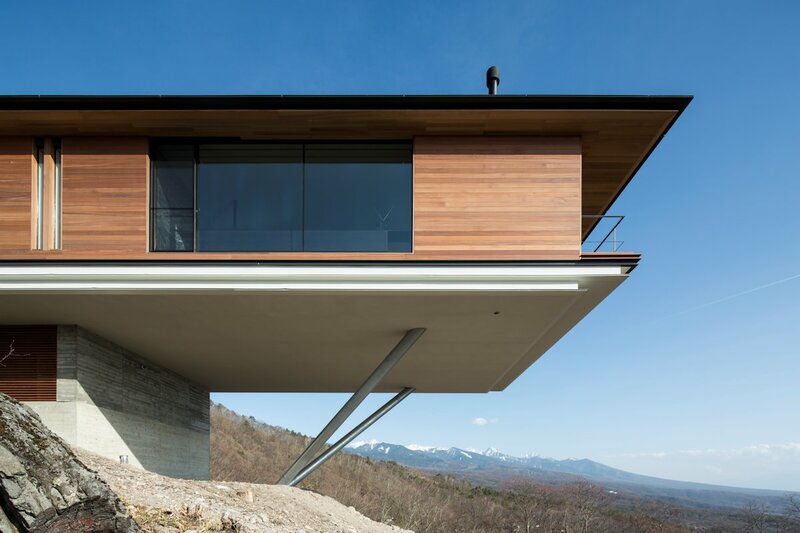 The house is perched on a sloping ridge at the foot of the Yatsugatake Mountains. 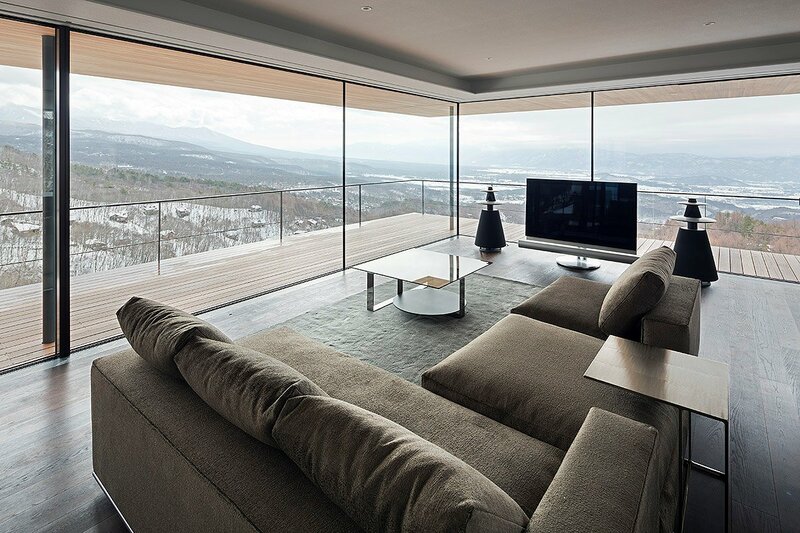 The client has spent many years searching for the perfect spot to build their dream house; the views were of upmost importance. 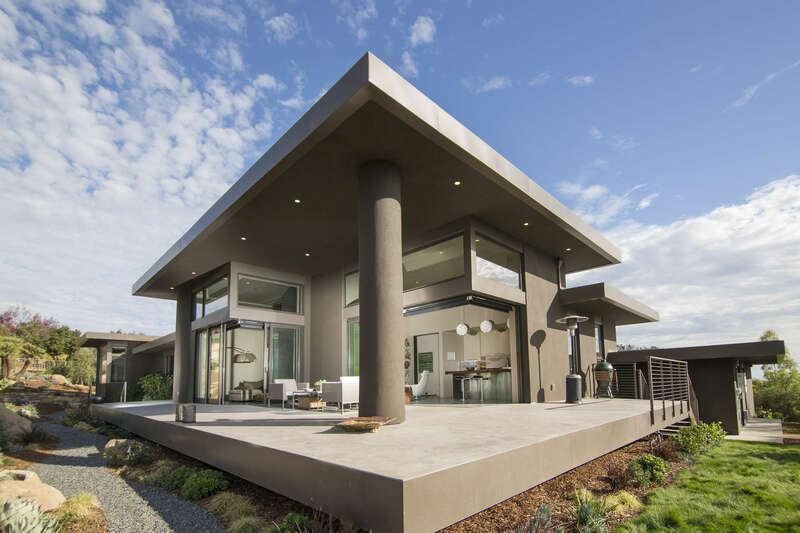 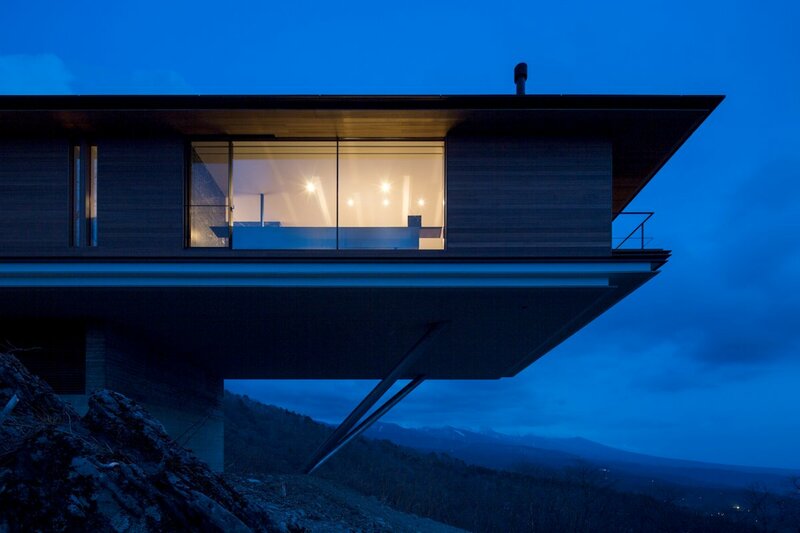 The extreme cantilever really accentuates the beautiful architecture on display, the wrap-around balcony maximises the mountain views. 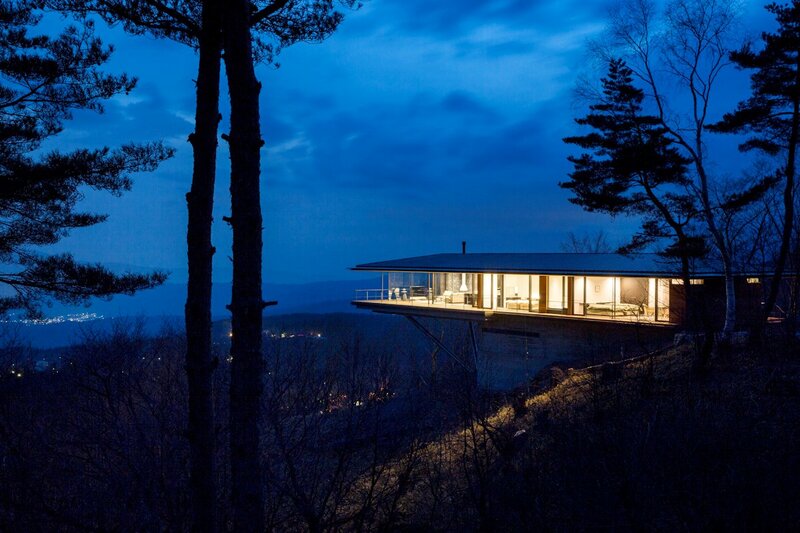 The House in Yatsugatake is located in Nagano, Japan. 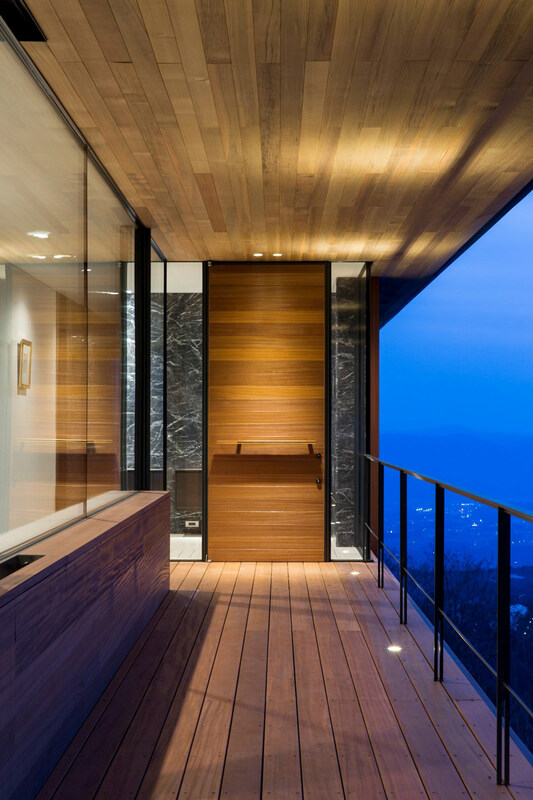 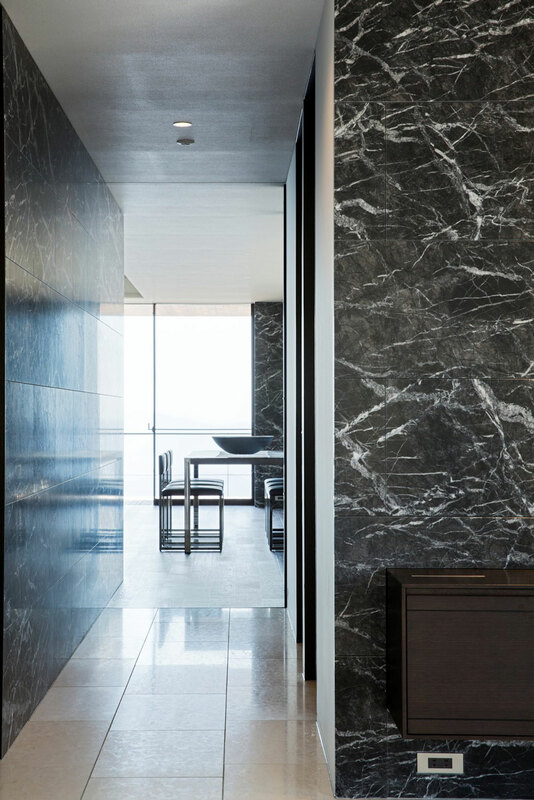 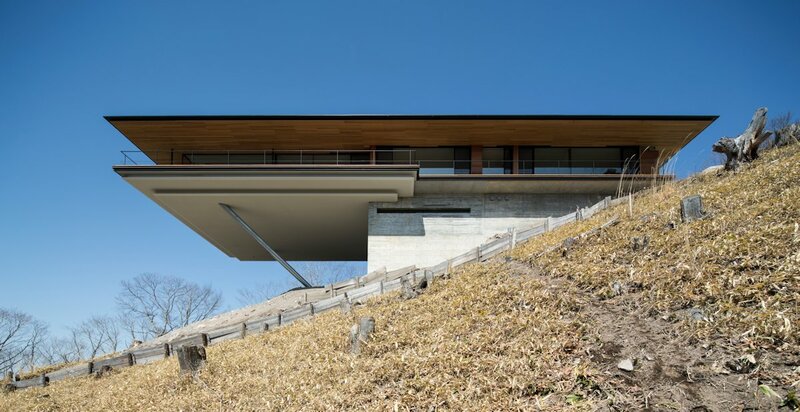 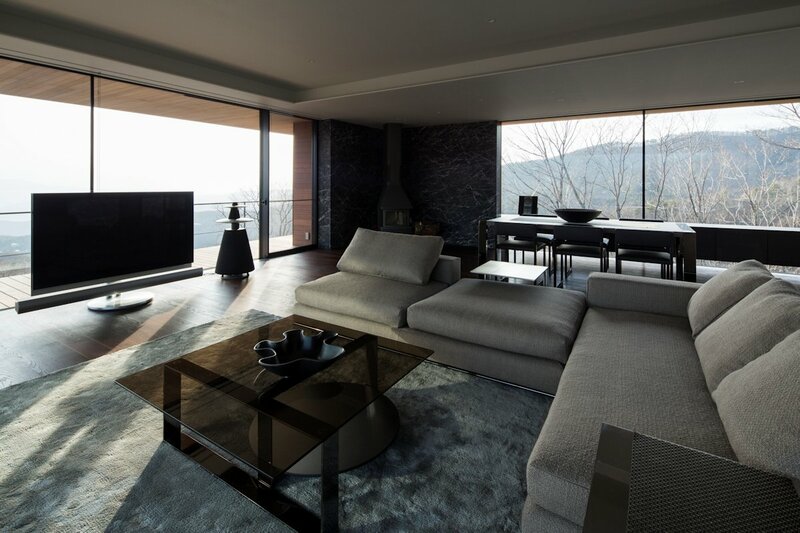 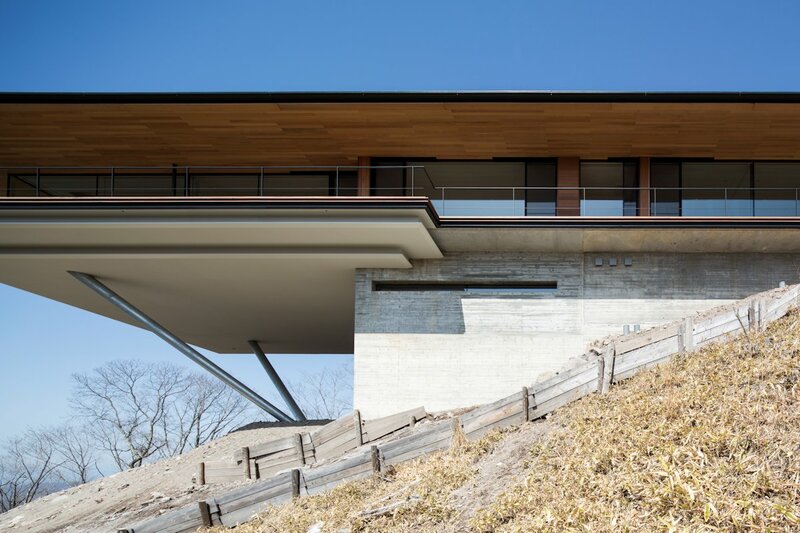 “Located on a sloping mountain ridge at the foot of the Yatsugatake Mountains, this house was designed on a piece of land that offers spectacular views that are rarely known. 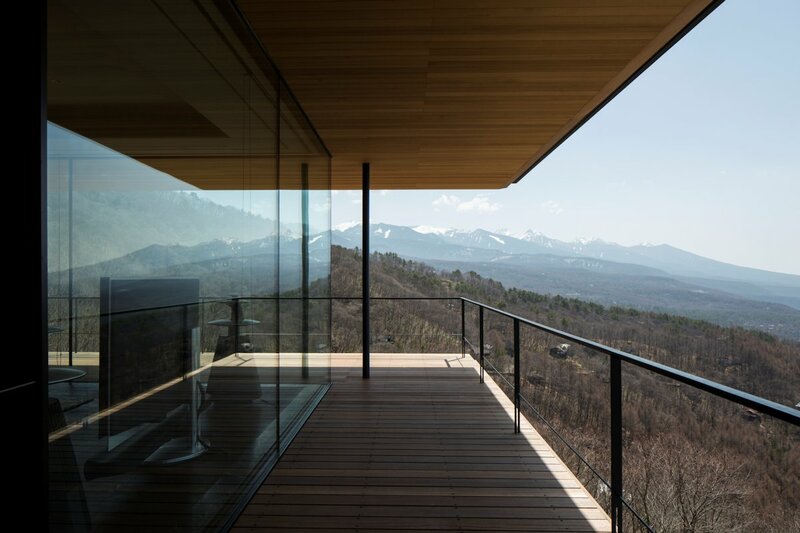 Seeking for the best in picturesque scenery, the client took up residence in Tateshina, and spent many years searching for the ideal site for building his house. 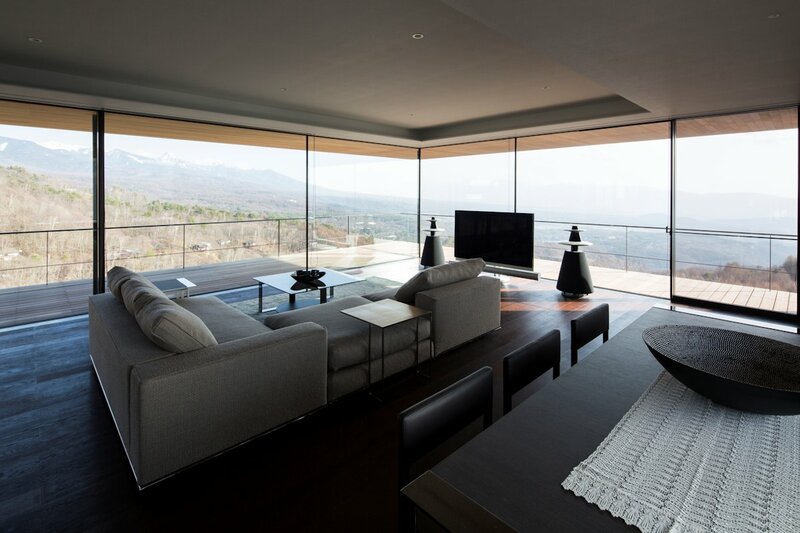 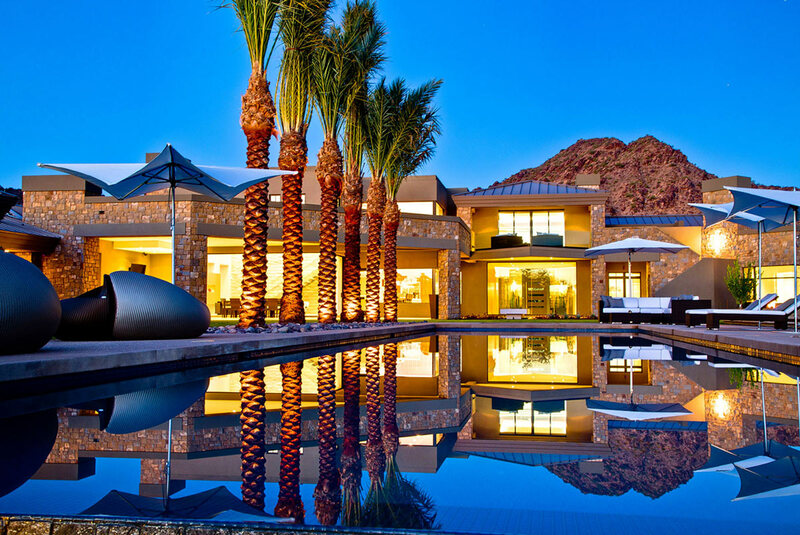 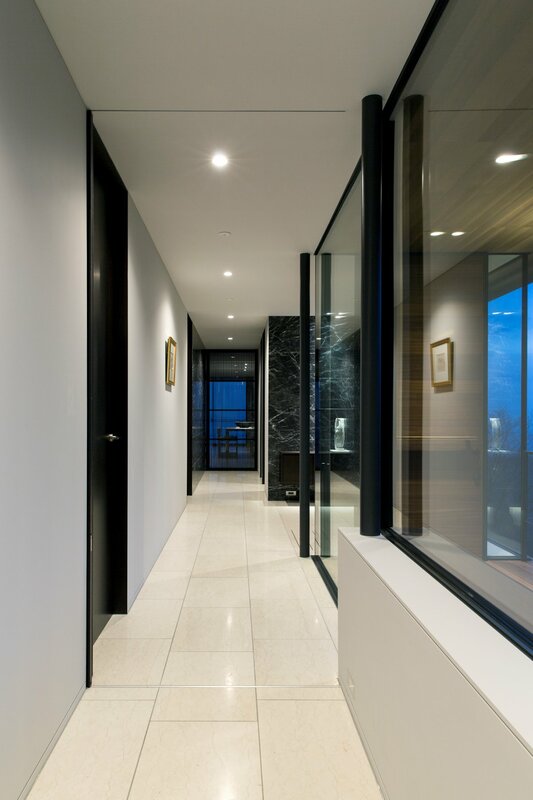 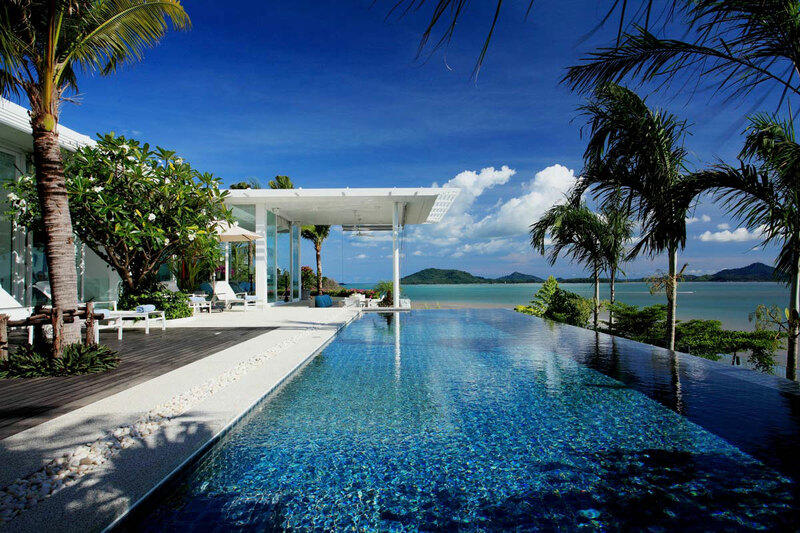 Inevitably, the main aim of this project is to meet the client’s expectations to incorporate these stunning views in to the design. 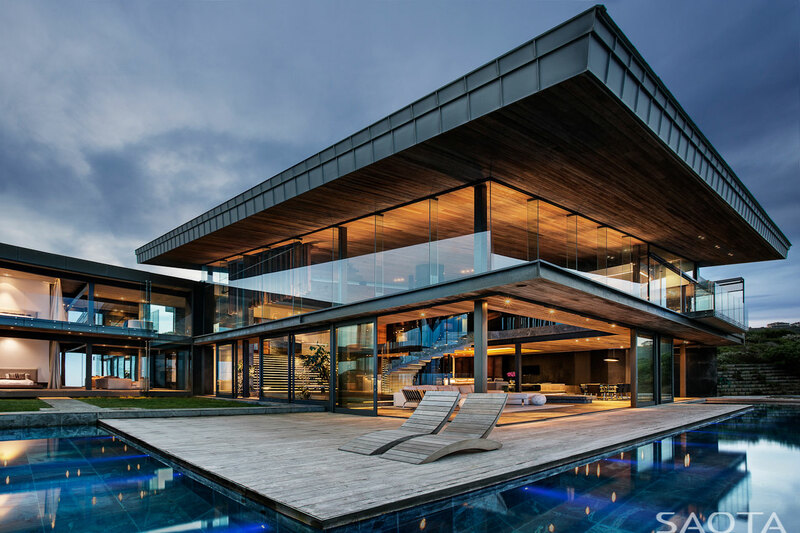 This space is an extravagant experience that only those who have given a privilege to be invited can truly enjoy. 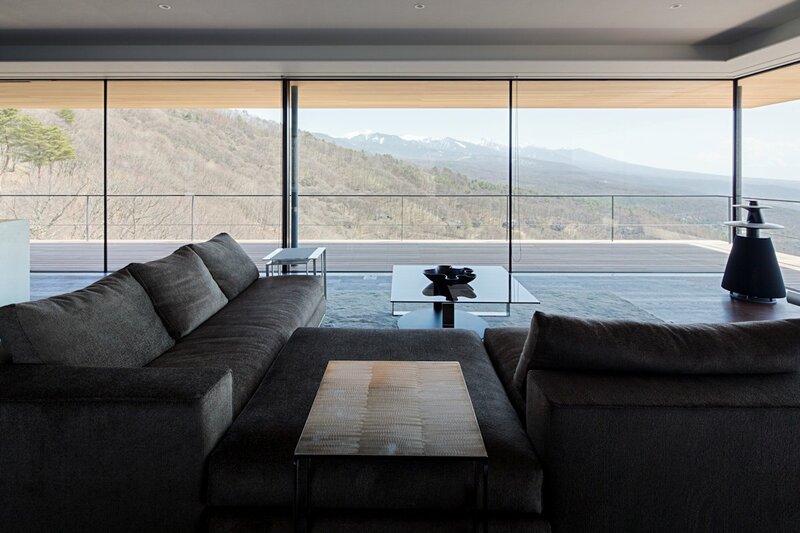 Other rooms are planned to offer differing views of the mountains, enabling a variety of views from each of the rooms. 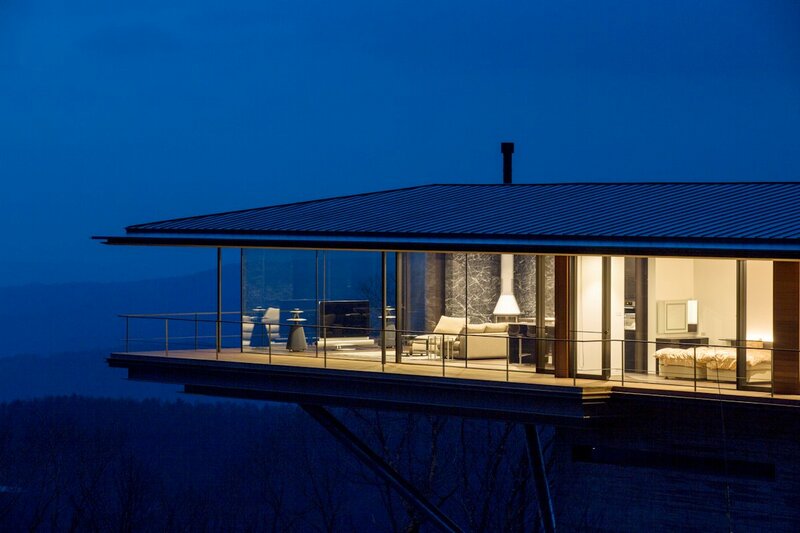 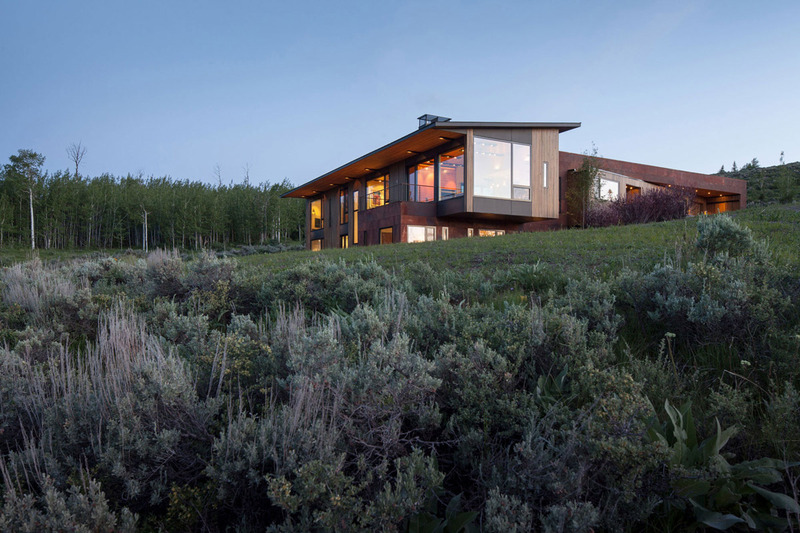 The high ceilings and wide wood deck and eaves enable a space steeped in the overwhelming presence of the panoramic views of the area.The feeling is so intense that it is almost as if you are living on a cloud.